Conveniently located in Palm Beach Estates of Playa Grande, the boutique Cantarana Hotel & Restaurant offers a quiet and private atmosphere for guests. 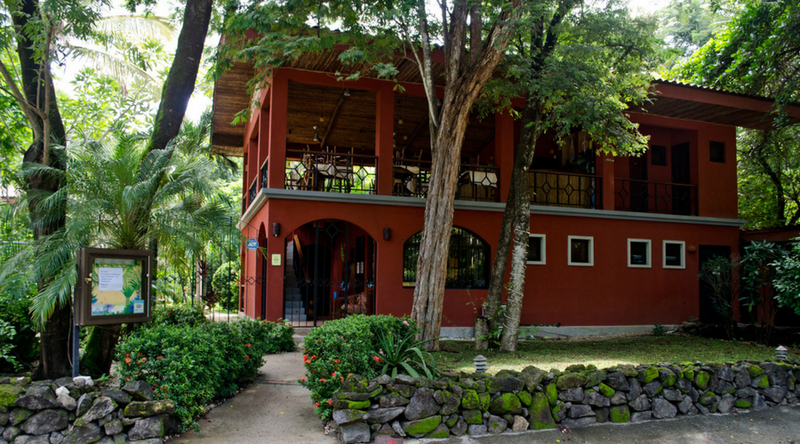 If you are looking for a peaceful rest surrounded by the lush Costa Rican landscape, this is the spot. 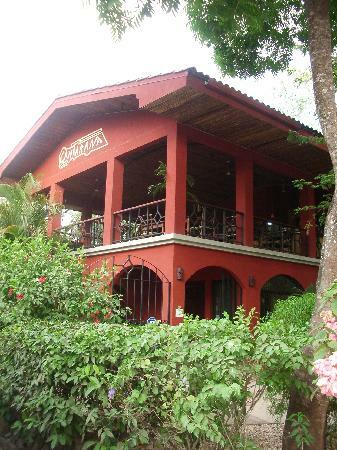 Hotel Cantarana offers reservations for its five rooms at moderate rates. Four of the rooms are furnished with 2 double beds, a private bath, air conditioning, a television and a small refrigerator. All rooms have access to a private terrace within a tropical garden that surrounds a shared pool. The fifth room, reserved as the honeymoon room, is the largest with an exclusive, remote terrace and has an ornate canopy bed. You can’t help but feel specially catered to at Cantarana. Guests start their day with a sumptuous breakfast at the upstairs restaurant set with a jungle backdrop—the best preparation for a long day of touring or just relaxing on the beach! And in the evenings, whether you prefer light cooking, solid creations, international or regional specialties, our chef loves to pamper his guests with authentic dishes that are brimming with affection. Moreover, the staff is friendly and eager to help with any needs and arrangement of tours. We understand that plans can change, so please consider the following cancellation policies. If you cancel your reservation 30 days before your arrival full refund of the deposit is applicable. After the 30 days prior to your arrival, no refund of the deposit is possible. Cancellations 7 days prior to your arrival date and in case of no show, late arrival or early departure, the entire stay will be charged.